“Take your pick!” That’s what my dad was told many years ago. For almost 24 years, he served as a police officer in New Castle, Indiana. 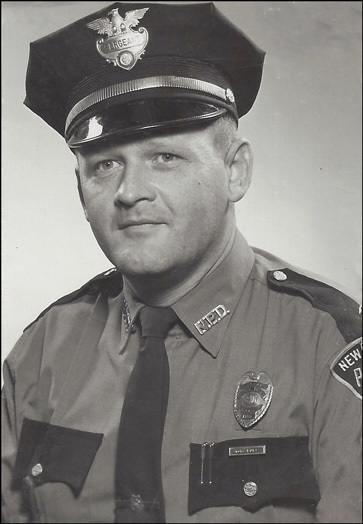 Through those years, he came up through the ranks as a Patrolman, Juvenile Officer, Detective, and then Chief of Police. When he first made Chief, two men associated with illegal gambling casinos and bootleg joints stopped by to see him. They were there to “congratulate” the new Chief by offering to purchase any new car he wanted to own. Though a new car must have sounded great, Dad declined their offer. He knew the cost of that free car was too high, for if he accepted their offer, he would own the car, but they would own him. When we open our hand to receive a gift, we receive the giver as well; and if that gift comes from our spiritual enemy, then we are indebted to that enemy. The enemy’s gifts may seem innocent enough at first, but when you receive them, your spiritual wellbeing will suffer in exchange. The world calls these type gifts a “bribe”; the Bible calls them a “temptation”; either way, they are gifts given to persuade us to wrongfully side with another’s will, even at the price of compromising our integrity or our souls. Concerning this, Jesus asked, “What shall a man give in exchange for his soul?” (see Mark 8:37) It’s not just big-ticket bribes like a car that brings a lifetime of regret, but also seemingly insignificant ones like cheating on tax returns or lying to a boss that will cost you. The good news is, when we remain free of the entanglements associated with these type of gifts, we experience the freedom of conscience. This freedom can empower us to more easily believe and receive the gifts that truly satisfy. These gifts only come from the One from whom, “Every good gift and every perfect gift” comes—and that is from God (see James 1:17). You see, when my dad walked away from the gift of that new car, he also walked away from being owned by an enemy who would use that gift against him. Therefore, he didn’t go away empty handed since he kept something more valuable—his integrity and his soul. Thank God for all those who refuse to be like Esau who traded his birthright for a bowl of lentil stew (see Genesis 25:29-34). The city where my dad served was nicknamed “Little Chicago.” This reputation is why the late radio host, Paul Harvey, once told his listening audience if they wanted to kill a man, to take him to New Castle, Indiana. Dad’s was a tough job, but he was up to it. Though his police officer’s salary didn’t afford many extras, he was a good provider, which sometimes meant he worked a second job. Financially, it would have been easier if he had dropped his standards and traded a few favors for extra money; but easier does not mean better. No, Dad had taken an oath, and he believed his word was more valuable than dirty money. I once had a man try to rattle me by accusing my dad of being “on the take” when he was a police officer. I first laughed…and then told him that since we didn’t have much money growing up, if he was right, we would have a lot of money coming when he died. Well, Dad went home in 2005, and there was no big payday awaiting us. I was there the day my dad got the greatest gift he ever received—the gift of the Holy Ghost. This was in 1987. I watched as God’s Spirit hit him so powerfully that he fell to his knees talking in tongues. You should know that this was the first time my dad went with me to church. Before that night, in very “colorful language,” he told me he did not believe in the Holy Ghost or in speaking in tongues. He also warned that if anyone tried to get him to go to the altar or to talk in tongues, he would punch them in the nose. Sadly, I am not kidding—and neither was he. But when the power of God fell in the church house that night, he went forward without being asked and received that Heavenly gift of God’s Spirit. That same night his sins were remitted by being baptized in Jesus’ name (see Acts 2:38). From that time on he was a noticeably changed man. As a policeman, Dad would not accept gifts because he knew the gift giver would own a part of him. But the night God offered him the gift of the Holy Ghost, Dad was more than willing to give himself in exchange. Dad knew there’s a cost to salvation. We see this cost in verses like this: “For whosoever will save his life shall lose it; but whosoever shall lose his life for my sake and the gospel’s, the same shall save it” (Mark 8:35). So, the price for what’s said to be “free salvation” is both Jesus’ life and our own. Dad’s favorite saying was: “Use things, not people. Love people, not things.” One of the ways he applied this was by talking to people about his Jesus. He would pray for anyone, anywhere, anytime if they had a need. Such a time happened after Mom and Dad moved to Florida when Dad retired. While there, Dad took up a part-time job at a grocery store. One preacher from their church told me he happened to see my dad in that store’s parking lot praying for a woman during a drenching rainstorm. Later, Dad told me he was loading groceries into a Mercedes Benz when the woman began telling him about a problem she faced. He asked if she’d like prayer. She said she would, so, like the gentleman he was, Dad held an umbrella over her head and the two of them began praying in the rain. Dad said they both had tears running down their faces as they felt the nearness of the Lord. I was not surprised by any of that. Dad received Jesus’ gift of salvation, and he enjoyed giving Jesus access to use him to help others seek after that same gift. Today you must take your pick of gifts. This probably doesn’t include a free car or a money bribe, but it always involves the price a “free gift” will cost you. The enemy of your soul will offer you gifts. The Bible says those gifts come at a steep price since they weigh against your soul. Jesus also offers gifts. These are from His kingdom’s treasury. Their value is based on their ability to provide righteousness, peace, and joy in the Holy Ghost. Now, it’s your time for you to decide…remember, no gift is free, so choose wisely. Very touching article Bro. Tom! Great moral lessons here. Thanks for sharing!